Here at Orthodontics by Birth & Fletcher, we truly value our patients. It is our goal to give our patients the very best care possible. We also know that there are a lot of choices out there, so we are glad that you continue to be one of our valued patients. We are dedicated to treating you the way you deserve to be treated, while giving you a smile of which you can be proud. Again, our entire staff at Orthodontics by Birth & Fletcher wants to thank you for being a loyal patient. We are grateful that you continue to come to us for all of your dental needs. 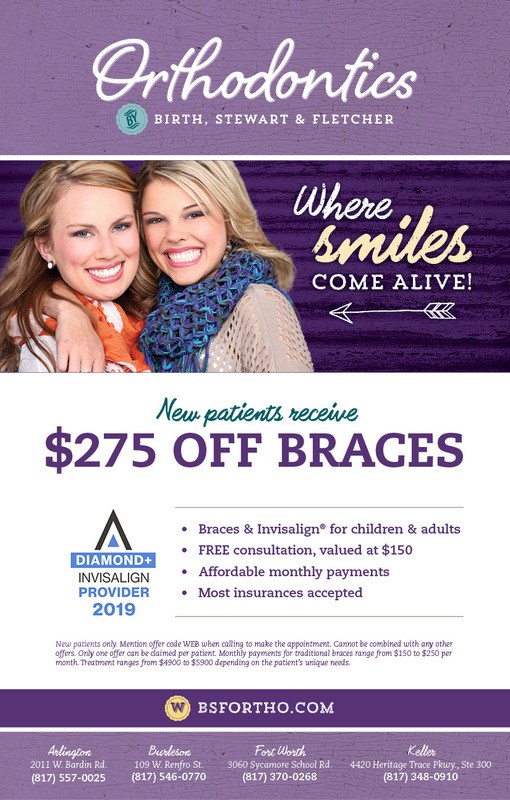 For this reason, we are proud to offer these specials to help you get the smile you deserve.